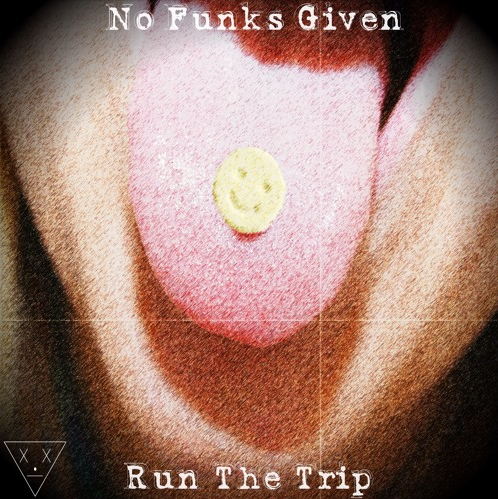 Take a trip with No Funks Given through the bass-heavy landscape they have created with their new single “Run The Trip.” The duo dips down to 110 BPMs to deliver a mind-numbing, body-rocking original that is sure to get crowds to the next level. “Run The Trip” is a trip in and of itself. With its unique, dark sound, this rollercoaster ride of ominous tones and brash basses will engulf your senses until its grip leaves you after three minutes and thirty seconds of insanity. “Run The Trip” was independently released on June 28th as a free download, and is available on digital stores.